Umpires are an important part of our game. Kedron Lions offers a development pathway to help grow and progress your skills and confidence. We encourage players and non-players alike to get involved. If you are interested in umpiring for Kedron Lions please contact Andrew Hickey on 07 3862 7853 or via email. You get paid to umpire our games. The next course will commence 7 February and runs for six weeks. The cost is $75.00 and includes AANA Rule Book and whistle. Kedron Lions is keen to support our members to become junior/beginner umpires. We are encouraging players and parents to participate in the next beginner umpires course. Ensure you complete the Nomination Form and return it to BNA as soon as possible. 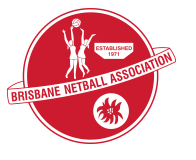 You will need a Kedron official’s signature, so just let us know at enquiries.klnetball@gmail.com that you want to register.